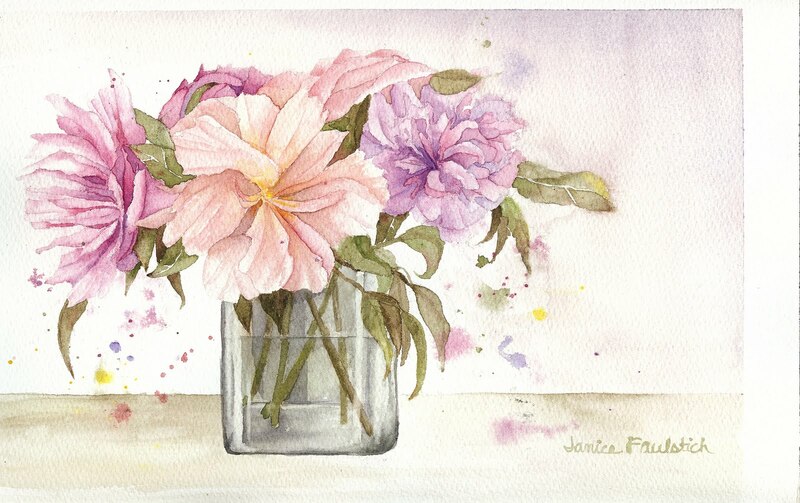 I bought a bunch of beautifully fragrant peonies at Trader Joe's and they inspired me to draw and paint them. The clear glass vase I put them in somehow got way too dark-I'll try this again and keep the vase under control-I hope! I wanted to throw some paint around and this was the perfect subject for doing so. Love the peonies. Soft, delicate, subtle. I always like your "glass" work too, even if it is the tiniest bit dark.